Following the announcement of the Alcatel OneTouch Hero 2 at IFA 2014, the company has also announced the Alcatel OneTouch Pop 2 smartphone along with the Alcatel OneTouch Hero 8 and Alcatel OneTouch Pop 8S tablets. The Alcatel OneTouch Hero 2 comes with a 6 inch display, 16GB of internal storage which can be expanded through microSD, a 13.1MP rear camera, a 5MP front camera and is powered by a 2GHz octa-core processor with 2GB of RAM. You can learn more about the OneTouch Hero 2 here. The Alcatel OneTouch Hero 8 is an Android 4.4 KitKat tablet, which features an 8 inch display, a 5MP rear camera, a 2MP front camera, a 4060mAh battery and a 1.7GHz octa-core processor with 2GB of RAM. In terms of storage, it is available in 16GB, 32GB and 64GB configurations. The OneTouch Hero 8 also supports 3G and 4G LTE connectivity. 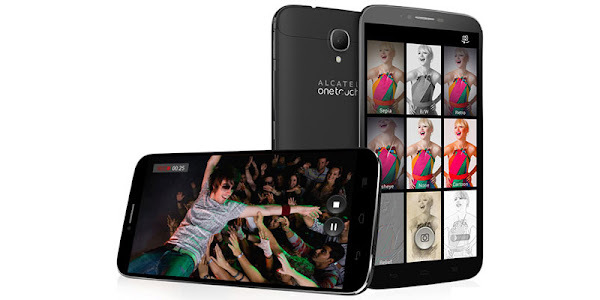 The Alcatel OneTouch Pop 2 will be available in two versions - One with a 4.5 inch display and the other with a 5 inch display. Other specs include 4GB of internal storage which can be expanded through microSD, a 5 megapixel rear camera with LED flash, a secondary front camera for video calls, a 2000mAh battery and a 64-bit 1.2GHz quad-core processor with 1GB of RAM. This handset will be offered in yellow, blue, purple, green and red color panels. Last but not least is another Android 4.4 KitKat tablet, the Alcatel OneTouch Pop 8S. This device features an 8 inch display, 4GB of internal storage which can be expanded through microSD, a 5 megapixel rear camera, a 3 megapixel front camera, and a 1.2GHz quad-core processor with 1GB of RAM. The two smartphones and the two tablets announced in the Alcatel OneTouch series are expected to go on sale in select markets starting September this year. Do you have your eye on any of them?